just a short link to an article already published in Nature from 2013. It is a very interesting article on the origins of the modern equids - for this discovery of an early Middle Pleistocene horse in Canada, in permafrost, allows various scientists to study the ancient equids from inside out, especially to trace their genome sequence, including more support for the separation between the domesticated horse and Przewalski horse. 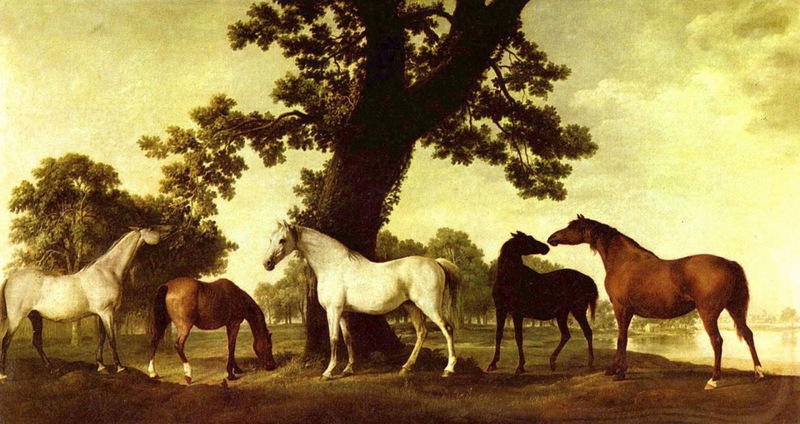 Also this discovery shows that horse was domesticated within a narrow geographic area and with limited number of animals. Another article on the subject, just in more descriptive manner. 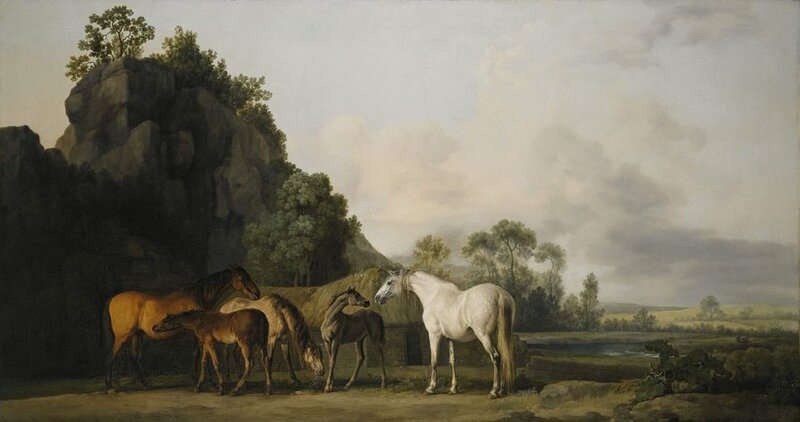 Beautiful paintings by George Stubbs - via wiki Commons - showing dams (brood mares) and their foals. 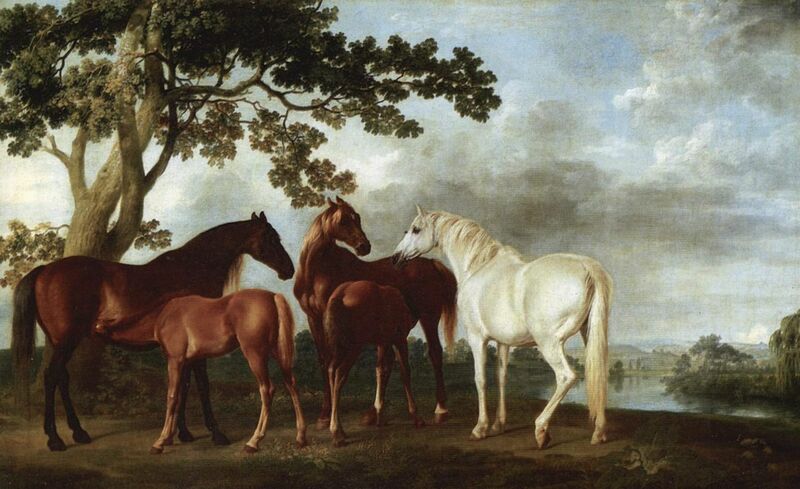 dear Dario, are you sure, that those horses should have fringe (forelock). 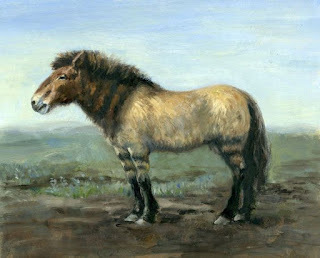 I was told that Przewalski's ponies didn't have such- what made them different to presents horses. In the picture- you have been showing, they have fringe. 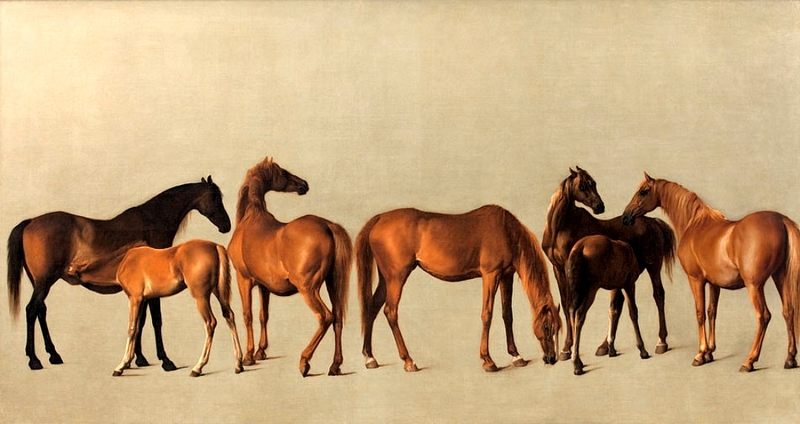 The available pictures of Przewalski's horses showing them without fringe as well.